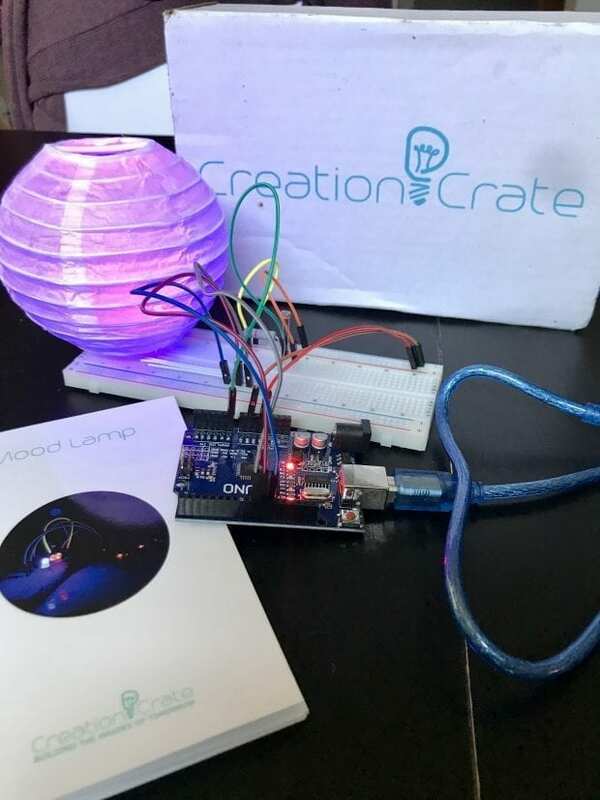 This week we are checking out the Creation Crate monthly subscription box. It focuses on technology and teaching tomorrow makers. Each month there is a new project to create and make. No matter when you start this box you will always get the same thing because each box builds on the previous box. The components you receive in the first box will need to be used in future boxes. The first box, that we received is the Mood Lamp. Here is a look at the 12-month curriculum. The Creation Crate is designed for children 12 and older, however, we did this one together and my 9-year-old was able to complete it with direction from me. Check out this weeks S.T.E.A.M. Saturday video. 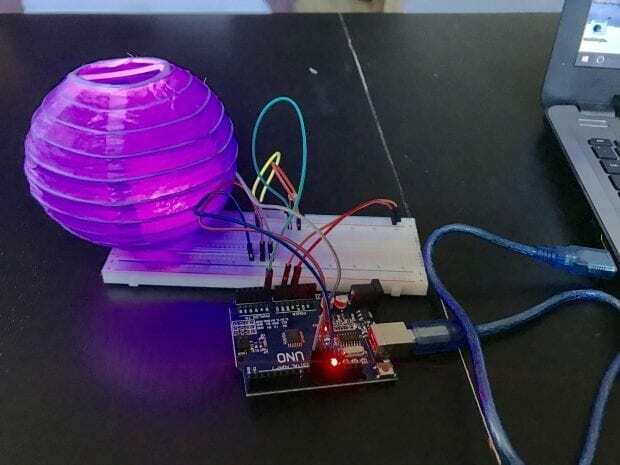 After we built our mood lamp it had to be programmed. I took the shortcut and decided to download the programming file so that we didn't have any mess ups and frustration. The sensor wasn't that sensitive so to demonstrate that it goes on and off with the light I used a flashlight. We had to do some troubleshooting because the breadboard has such tiny holes that we misplaced a few of the wires. Once we worked that out it came right on! I think this is a fantastic box to introduce your S.T.E.A.M. kids to technology. It is a more advanced box though so keep that in mind. It was a learning experience for both of us.